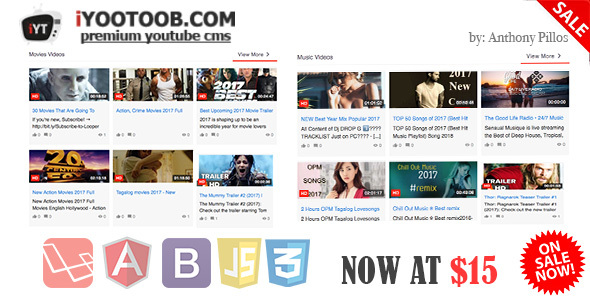 Welcome to iYOOTOOB â€“ PREMIUM YOUTUBE CMS. Its a Content Management System that allows you to build websites depending in your niches using Youtube Videos easily. Letâ€™s say your website focus more on Web Development you can add videos or channels that is related to Web Development using our Admin in just a few clicks.